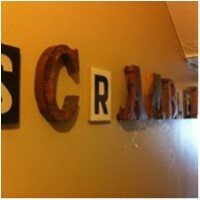 Scrambled joined our Mission to help provide access to “Clean Water for All by 2030”. This Mission was initiated by the United Nations. A big thank you to Scrambled’s team and customers for joining this extremely important mission on 20 January 2018. "Ordered the first time through Uber eats something wasn't right with the packaging causing the order to drop out of the bag upon delivery. The owner quickly rectified the issue and sent us a new one straight away, truly appreciate the effort thank you. The food is also delicious, a business definitely worth supporting."